Conceived by CBC and appointed with CBC staff, although the actual opening was postponed until 1983 after the merger. Confirmed by John Beer who audited the branch and Trevor Hulbert who was appointed Accountant there. It is interesting that Sawtell has survived the closure of branches which saw Urunga closed (which was also opened out of CBC Bellingen). 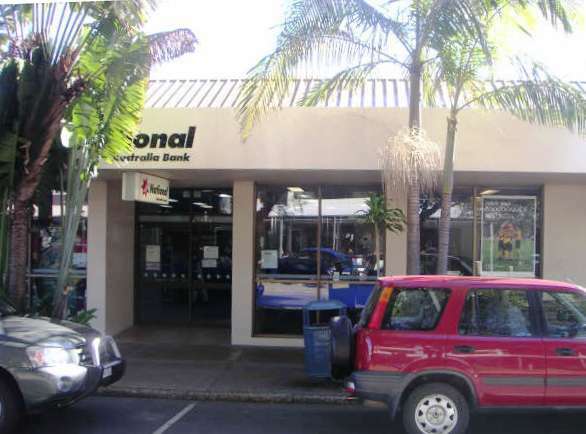 "My memory tells me that Andrew S Collie, the first Sawtell manager, was at Bellingen branch and used to take his family to Sawtell at weekends, where he formulated the idea that CBC must open a branch at Sawtell. 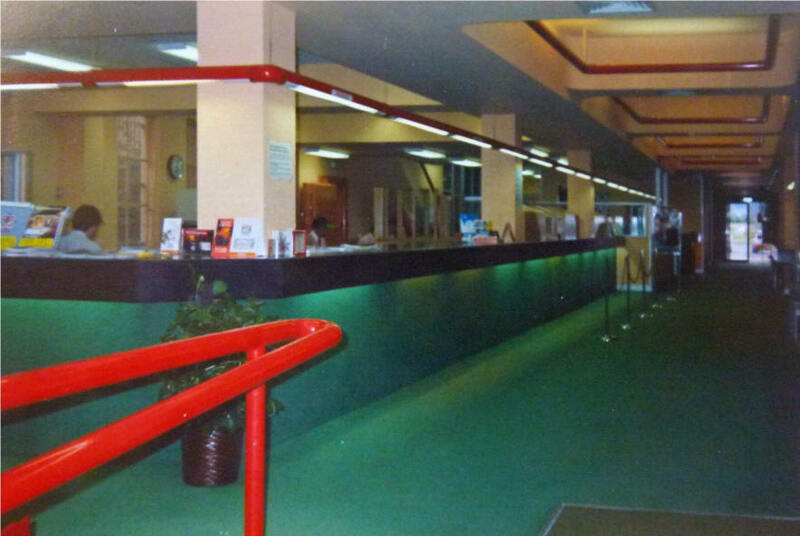 He then went to CBC Coffs Harbour from where events took place to establish the Sawtell branch." John Beer. 2008 photo by Ron Armstrong. 1963 humorous photo from Current Accounts January 1964 issue. 2006 November photo by Frank Maundrell. 2008 1883 Silverton, which is 28km west north west of Broken Hill, was named. 1882 onwards H W Hogg had the 'doubtful pleasure' of managing Tibbooburra, Milparinka and Silverton branches. 1889 Courthouse began operations; October Gaol was opened, Municipal chambers opened. 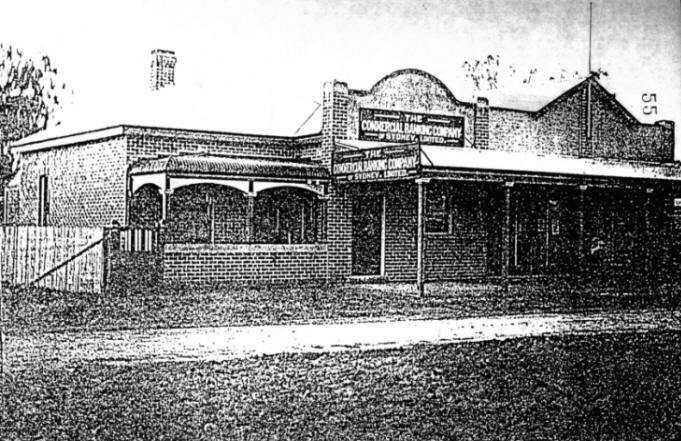 1891 branch closed (87th Report), the Manager and staff were transferred to Broken Hill. 1968 mentioned in July Current Accounts page 51. 2008 September Silverton today photo from Sunday Telegraph. 1869 council rates entry submitted by Martin King "the first recorded evidence I've seen of the Commercial Bank in Singleton; the entry in the 1869 Council Rates book" from Singleton Family History Society" together with an early photo originally from the National Library. 1876 purchased by bank for £2000. 1800 June 30 Report lists Waddy PM as manager. 1881 record and Early photo from Glen Walker, which notes "Premises erected prior to 1881", with what appears to be a subsequent annotation "Erected 1868/1869". 1883 December 31 Report lists Pockley TFG as manager. 1884 George Street branch was built. Architects were Backhouse & Lough. Builder was W Burnett. 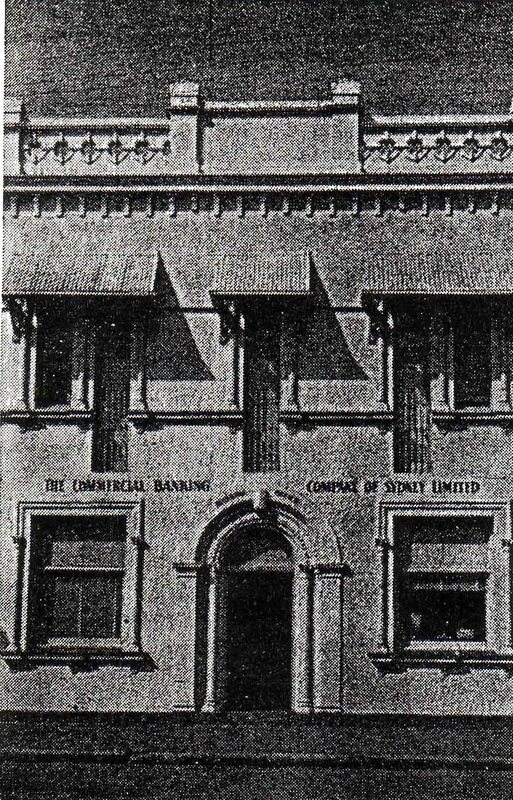 Martin King, who is researching a hotel in Singleton stated "From my research I have found mention of the "Commercial Bank" operating in Singleton on July 3rd 1884." 1902 Picture depicts end of Boer War celebrations. 1910 "Renovated & improved in 1910 @ cost of 459 pounds" noted on the premises card in the 1881 photo. Fred Harvison says: I spoke with Ken Lawson and he said that the Bank was in George Street next to the Royal Hotel. 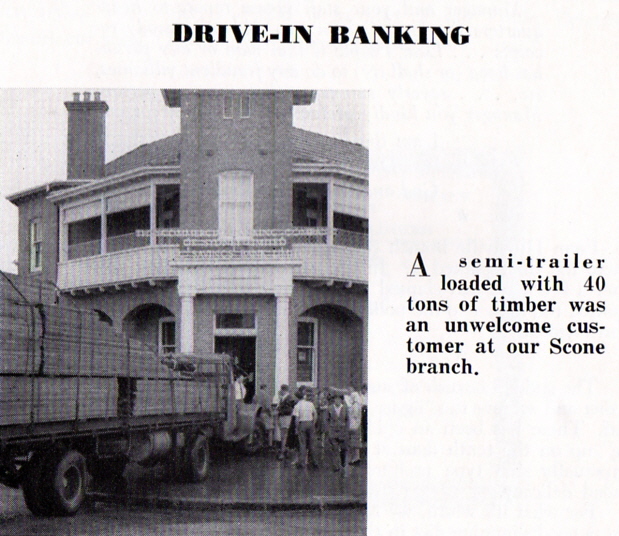 When the Post Office moved from George Street to its current location in John Street the Bank also moved to its current location and the old branch became a Receiving Office. The George Street building: Caption reads "The date of the building of the George Street branch is not known, but was used until the erection of the John Street building in 1936. Since then it has been a full-time Receiving Office, for the convenience of customers in the northern end of the town". 1973 when the building was sold in January (Current Accounts Jan 1974). 2009 July Geoff Chapman sourced Google Earth image attached of George Street (New England Highway) Singleton branch/Receiving Office. Identity confirmed by unusual upper floor windows. 2012 February Kevin Greenaway was visiting Graeme Stevenson at Tweed Heads last Sunday and he showed Kevin some old photos he had of a few Branches Kevin thinks he worked at, including Singleton. When the Post Office moved from George Street to its current location in John Street the Bank also moved to its current location. 1936 John Street building erected. 1959 clipping of the 1936 building erected in John Street. The upper storey and rear lower floor comprise the Manager's residence. Submitted by Glen Walker. 1972 photo of the bank submitted by Glen Walker. 2012 February Kevin Greenaway was visiting Graeme Stevenson at Tweed Heads last Sunday and he showed Kevin some old photos he had of a few Branches Kevin thinks he worked at, including these of the banking chamber as NAB. George Street Receiving Office Fred Harvison said: "I spoke with Ken Lawson and he said that the Bank was in George Street next to the Royal Hotel. 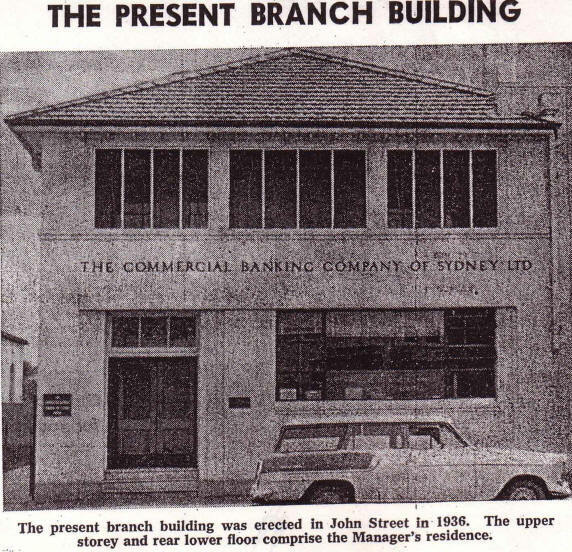 When the Post Office moved from George Street to its current location in John Street the Bank also moved to its current location and the old branch became a Receiving Office" in 1930. 1973 a new Receiving Office was opened opposite the original building when it was sold (Current Accounts January 1974). Smithtown Smithtown is on the Macleay River, off the Pacific Highway, 17Km north of Kempsey. (no representation) Sofala cannot be located as listed / opened / closed in CBCofS reports but Parkes Newspaper reports that the Manager that opened CBCofS Parkes worked in Hill End and Sofala. Sofala (and Wattle Flat) are fascinating and well preserved historic gold mining locations Of all the old gold mining towns in NSW Sofala is one of the most interesting and unusual. Sofala is a village with old world charm with nothing more than two streets which have no formal construction and no curbing and guttering and yet which can claim to be 'Australia's oldest surviving gold town'. Sofala is 245 km north west of Sydney and 45 km north of Bathurst in the Turon River valley. 1851 Royal Hotel and a General Store were built. 1851-02-12 Sofala began after the goldrush after Edward Hargraves discovered gold at Summerhill Creek. 'Sofala presents a jumble of tents of every possible shape: canvas, calico, slab and bark huts, bough gunyahs and nondescripts. Stores of every possible description containing varieties of merchandise are everywhere, embellished with placards announcing the best gold prices available. 1852 June a tent city spread across the valley. 1852-06-25 more than 200 ounces of gold taken from the Turon Valley had been sold in Bathurst. When the local landowner realised he would never move the miners off his land he became a butcher and started selling mutton. 1852 The goldfield was short-lived with the population peaking at 10,000 in September and dropping to 5,000 by Christmas. It was a ramshackle temporary town with dozens of pubs and, at its height, an estimated 500 illegal sly grog shops. 1852 there was a brief altercation between miners and police over mining licenses but it did not amount to outright rebellion. The miners caved in and the license fees (30 shillings per month) were retained. 1853 visitors were describing the town as little more than 'wood huts or as they term them shingle, weatherboard, houses and tents. There were many tents scattered along the river.' The fortune of the town was all too brief. 1854 May there were less than 500 diggers on the field and by 1855, with new gold discoveries occurring at Wattle Flat, Sofala was in decline. 1856 there were only 325 males and 203 females living in bark huts and working the goldfields in Sofala. a number of public houses and several extensive stores. There was a booking office at the Barley Mow for Cobb & Co., where coaches could be caught for Bathurst, Orange, Lambing Flat and Forbes. 1871 census the total population of the town was 644 of whom 81 were Chinese. Mining was still central to the success of the town but the miners were covering a greater area and finding smaller deposits. 1899 to 1914: dredges were brought to the valley. Their success was limited. At one point (it only lasted for two years) the Sofala Gold Dredging Co. treated 18,000 cubic yards of wash which yielded 84 ounces of gold. The history of the town in the twentieth century is one of constant decline as the gold either runs out or becomes increasingly hard to extract. 1948 all gold mining in the district finished. It had lasted for 92 years. The Old Bank of New South Wales building in the main street 1. Historical Walking Tour There is a single sheet guide to the village which is available from the Sofala Souvenir Shop in the main street. 1860s the Old General Store was built with its interesting lacework and its weatherboard construction in Denison Street is one of the town's most notable buildings. It was built to meet the needs of the local miners. 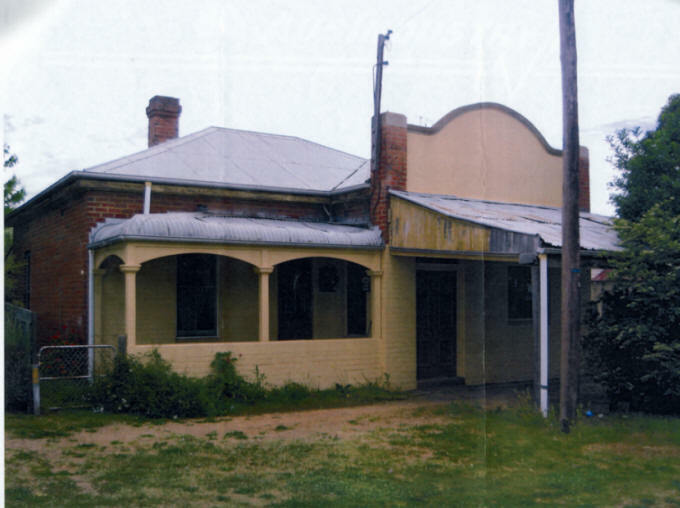 1862 saw the establishment of the Royal Hotel over the road from the General Store. 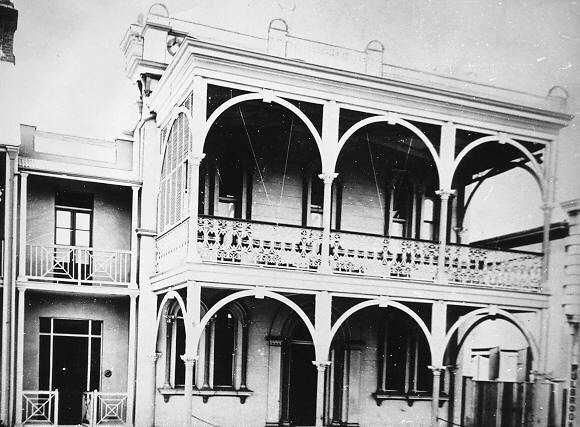 The first Royal Hotel in Sofala opened on 7 October 1851. 1879 the Post Office was built and continued operating until 1989. It is a gracious two-storey building which has been turned into an interesting home. 1851 saw the Gas Hotel where the foundations are timber stumps which have sunk over time, the building looks as though it was knocked together by a very drunk carpenter. 1874 as a court house. 1960s it became the Community Health Centre. Hylands Hotel built on the site of the Globe Hotel (one of the town's original pubs) it still has the original shingles and cellar. In 2010 it is now a private residence. 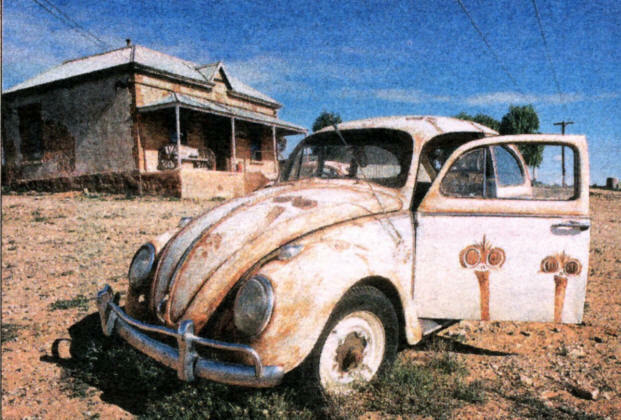 The Sofala Souvenir Shop has a 'self-drive' tour which covers a number of interesting destinations around Sofala. Upper Turon drive includes the Church of England cemetery (with graves dating from 1851), the old Sofala school ( 1881), the original hospital ( 1860s), the original diggings, the privately-owned Western Goldfields Museum, the Chinese settlement, Ration Hill and Pennyweight Creek. Lower Turon instructions are clear for those interested in exploring the Lower Turon. - a good place for swimming. The map and the instructions are easy to follow. Wattle Flat is 8 km south of Sofala on the Bathurst Road. The main attraction (apart from the old stone church on the main road) is the 'Buurree Walking Trail' which is a leisurely 3 hour stroll. The trail is an interesting combination of fauna (there are many kangaroos in the area) and flora as well as ruins and remnants of the goldrush era. 12 km north-east of Sofala along the main road is the Turon Technology Museum which focuses of power technologies from the period 1850-1950. This is a display of six buildings in grounds which cover over an acre. There are steam turbines, hot-bulb engines, internal combustion engines, diesel engines etc. South Grafton 1934 Listed in Century of Banking as Receiving Office of Grafton. 1948 South Grafton converted to full Branch status when H E Heath was appointed Manager (from Current Accounts January 1970). 1952 The branch was housed in this building - photo by Harold Wood. 1965-73 (from Current Accounts January 74) On the retirement of H M Sinfield on 10/8/73: "Mr Sinfield was Manager at South Grafton at the time of his retirement, having been appointed as Manager of that Branch in 1965". 1978 September Branch Managers List shows it as a sub-branch of Grafton. 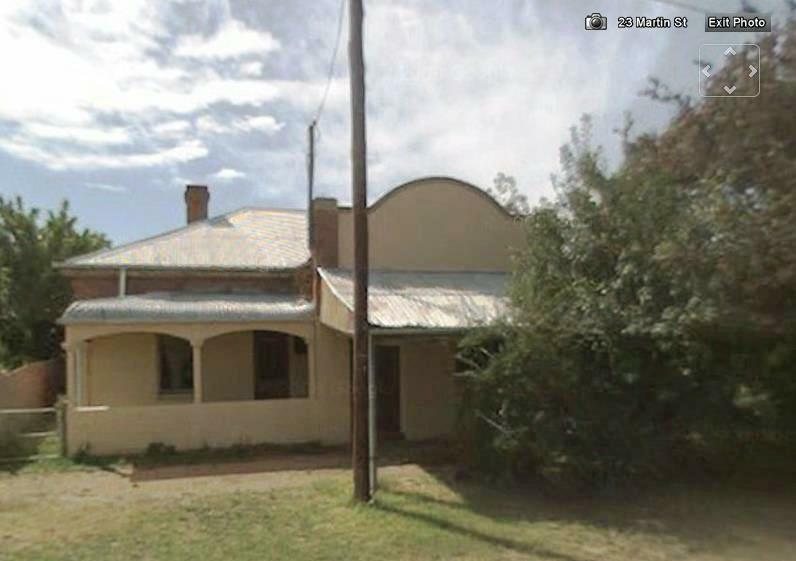 2009 GoogleMaps photo of amalgamated branch at 72 Baylis St.
2008 1977 Listed in Annual Report as Receiving Office of Kempsey. John Beer states: "I conducted the first audit of SW Rocks where premises had been designed by CBC but reported to have been heavily criticised by NBA RM / Zone GM. From memory premises were privately developed by owner who had unit on top level and leased ground floor and car spaces under that to the Bank. The owner was a great bloke who took me fishing catching whiting on the beaches. His daughter was in charge of Wales SW Rocks." 1985 NAB NSW & ACT Circular 135 23April: South West Rocks Upgrading to Branch & Relocating. 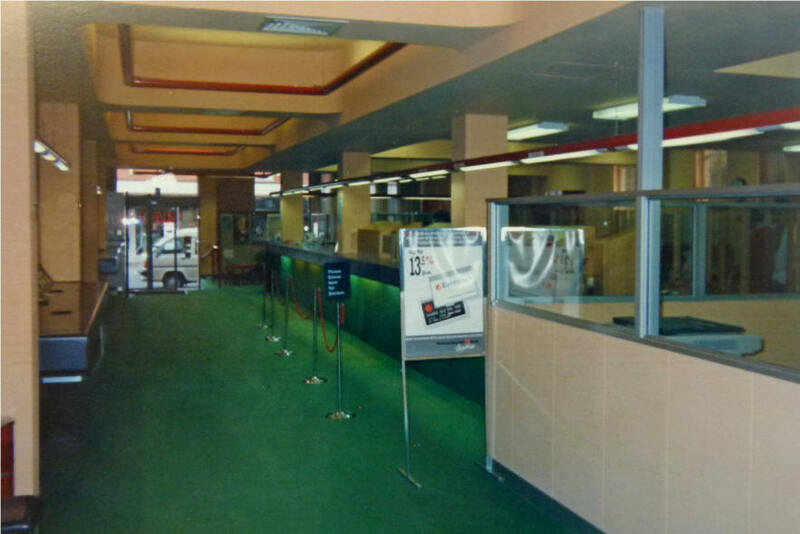 On 13 May 1985 SW Rocks Service Centre will be upgraded to branch status & relocated at: 8 Prince of Wales Avenue SW Rocks under Manager Mr BJ Wallace with Mr TE Cowan Accountant. 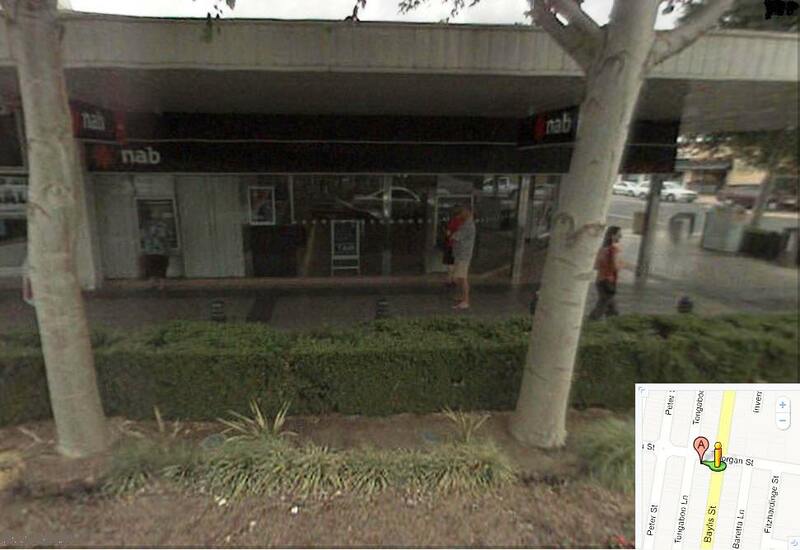 2008 GoogleEarth photo as NAB identified by Geoff Chapman and confirmed by Warwick Laing, past manager of Kempsey branch, as being previously the CBC branch. John Beer states: Looks similar to SW Rocks branch I audited about 1988 when BJ Wallace was Manager SW Rocks, where CBC rented office from owner who resided above with his daughter who was in charge of Bank of NSW SW Rocks. Office building was organised by CBC. NBA Regional Manager / ZGM was very critical of office being more than a shopfront (he reckoned it had too much space and was too deep). 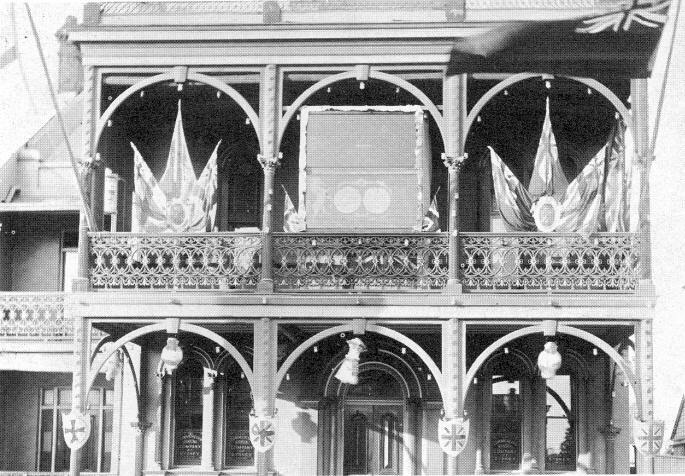 147 Macquarie Road For a number of years CBC officers had been promoting the possibility of opening a branch at Springwood. National Australia Bank has opened its newest branch in Springwood. 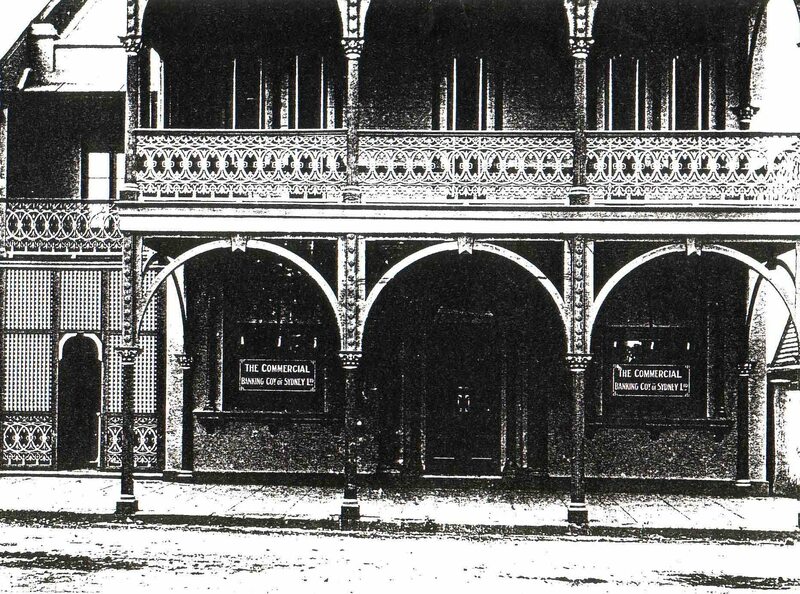 The bank has been represented in the Blue Mountains for many years with its branch at Katoomba. Manager of the new branch, Mr Paul Stehbens and his staff who were all local people have been busily supervising the final fitting out of the building over recent days. Paul is looking forward to living and working in the Springwood area as he has been located in the Hunter Valley for the past 2.5 years." John Beer says "It is thought Mr Meyer was State Manager when he spoke to F Maundrell". 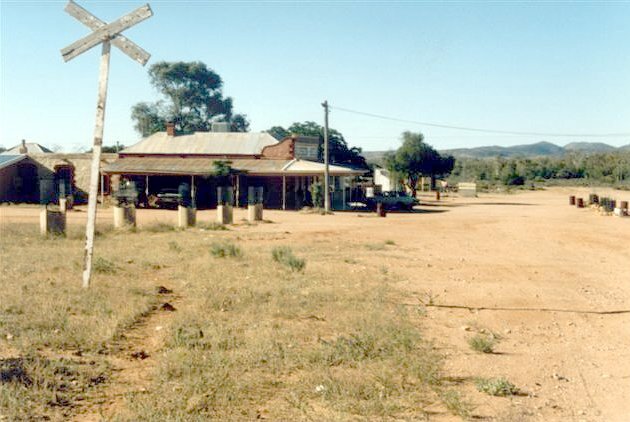 Stockinbingal is a small village on the Burley Griffin Way 410 Kilometres South of Sydney, between Cootamundra & Temora. Stockinbingal has maintained its architectural integrity and remains virtually untouched since Federation. Its former commercial buildings remain intact as prime examples of the Australian vernacular style. 1886 March 20 Stockinbingal was proclaimed a village. Stockinbingal Cemetery, Geralda Street - Rare Plants and Endangered Bird site is part of the Grassy Box Woodlands Conservation Management Network. 1893 Stockinbingal Railway Station, Hibernia Street, was opened servicing the Temora & Cootamundra line. 1912 the Forbes line was commenced . The Timber railway station is one of over 400 such stations built throughout country NSW of which in 2006 less than twelve survive. It is operated by manual signals and is an important line for wheat transport from the central west and freight from Western and South Australia. 1912 branch opened in October in portion of 15 Troy Street building. 1913 temporary premises at 14 Martin Street. 1913 new premises completed at 22 Martin Street. 1915 former Bank of NSW, Hibernia Street, Federation. Anecdotal remarks that it may be of Hardy Wilson design. 1934 Listed in Century of Banking, manager DT Burgess. Photocopy of branch when operating. It is a copy of extremely poor quality. The adjoining part of the building used as a fruit shop was demolished in 1990. 1941 closed on 31st March. 1959 June mentioned in Current Accounts. John Beer says: CBC Stockinbingal records I think went to Temora where the records were stored in the strongroom upper shelf eastern end of strongroom. 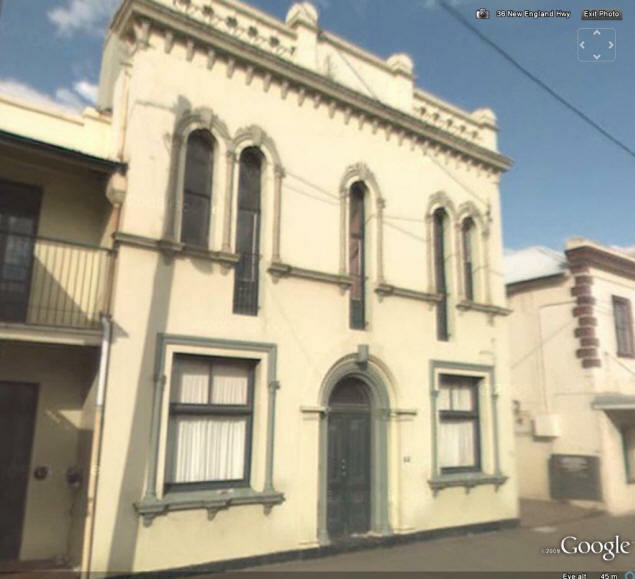 "The building ... situated adjacent to the former Bank of NSW building on the southern side of Martin Street, Stockinbingal, is a private residence and has never been used as a branch of the CBC bank. Council does not have records regarding the former CBC bank building in Stockinbingal. 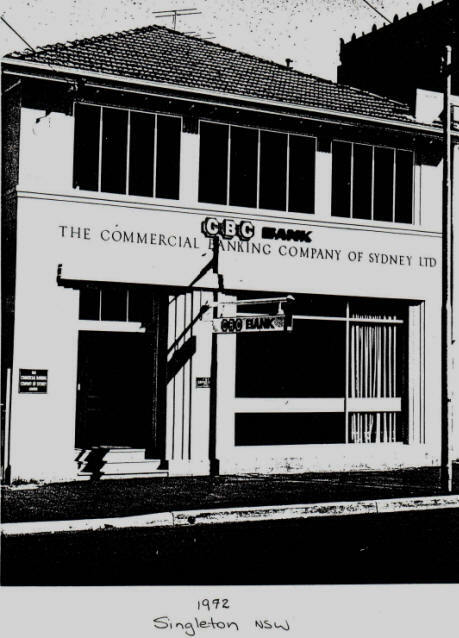 However, information compiled by the Stockinbingal Public School Centenary Committee in 1994, and published in "The Stockinbingal Story", indicates that the CBC Bank was initially opened in October 1912 in portion of a building located at 15 Troy Street Stockinbingal. The bank later purchased a block of land for new premises at 22 Martin Street. The bank was temporarily located at 14 Martin Street and the new premises was completed in 1913. The bank closed on 31st March 1941. The original bank building is still in use today as a residence. 2008 photo from Jan Godman of the building as it appears today. The bank first opened in October 1912 in portion of a building owned by the Neville Bros at 15 Troy Street. The first manager, WM Hughes, stayed for two months and was followed by FC Davies who remained until 1918 then accepting transfer to Walla Walla. In March 1912, intending to erect a permanent building, the bank purchased a block at 26 Martin Street. Architect ER Laver then offered to build a bank for lease at 26 Martin Street. The offer was accepted at a weekly rental of 32/6 ($3.25). The building had a banking chamber 18 feet by 16 feet, the manager's room 11 feet by 16 feet, a bedroom the same size, a sitting room, kitchen, bathroom, laundry and a galvanised iron stable. Davies advised that he was to be married and then a second bedroom for a maid and a scullery were added to the building. A brick shortage caused a delay in Laver's new building and the bank moved temporarily to 14 Martin Street at 17/- ($1.70) weekly rental. The bank accepted the new building in June 1913 at an agreed annual rental of 84 pounds 10 shillings ($169). An adjoining shop in the building was rented as a fruit and vegetable outlet. Mr D Carr-Boyd followed as branch manager in March 1918 on an annual salary of 300 pounds ($600). Carr-Boyd's arrival in the town provided for him an unpleasant experience. A severe thunderstorm, lasting only fifteen minutes, resulted in water pouring through theroof of the new building causing damage to the contents. He complained to his head office that the new building was "jerry built" and the rent was exorbitant. He was critical of the toilet facilities describing them as a "cesspit". Despite the manager's complaint and those from other residents there was no improvement in the sanitary services of the town until 1927 when the Shire introduced a cart-away pan service costing 3/- (30 cents) weekly. Mr Carr-Boyd was transferred to Byron Bay in 1922 and was replaced by HM Beatty from Lithgow. Mr Beatty complained about the high cost of running the Acetylene Gas Lighting plant, but Head Office instructed him not to revert to the old kerosene lamps. In 1924 Mr Laver sold the building, occupied by the bank, to Mrs Torpy who conducted the fruit shop next door. Mrs Torpy paid 1800 pounds ($3600) for the building and increased the bank rental to 110 pounds 10 shillings ($221) annually. In December 1927 HM Beatty left for Wallerawang and was replaced by DJ Burgess from Adaminaby. Mrs Burgess acted as a Sunday School teacher in the town until her death in 1937. Mr A Baker became the last manager in 1938 and stayed until the bank closed on 31.3.1941. The former bank premises became a private residence and the last fruit shop proprietor in the same building until 1964 was Mrs Tennison. The building was eventually demolished in 1990. 2008 GoogleEarth photo sourced by Geoff Chapman who advises: This was Stockinbingal branch. The location was advised to me by Keith Pether, a lifelong (83 year) resident of the town, and correct building confirmed when I described the building in the attached photo to him. He also advised that the branch closed "a couple of years before the end of the war" which suggests that it was part of the 1943 rationalisation of bank branches measure undertaken by all banks. Sussex Inlet 1977 listed in Annual Report as receiving office of Nowra.